Home / Reviews / Neocell Facial Skin Care Stop Aging in its Tracks! Neocell Facial Skin Care Stop Aging in its Tracks! We all Neocell has been a leader in collagen supplements and sports recovery products. Did you know that they also have fabulous topical facial product to improve fine lines and other signs of aging. I was excited to be able to try three of their great products on my own skin. As you age and your skin is exposed to elements of pollution and toxins we lose a lot of the collagen that we are born with. This process prevents the skin from being as beautiful as it once was and we develop marks, spots, fine lines and wrinkles. NeoCell has introduced the Collagen + C Liposome Serum to help reverse this process and it is made with special time-release micro-capsules that penetrate the skin to deliver collagen stimulating ingredients and potent antioxidants where the skin needs them most. These things are imperative to add firmness, elasticity and moisture back to your skin. When you lose collagen you lose moisture and the ability to keep moisture in your skin. 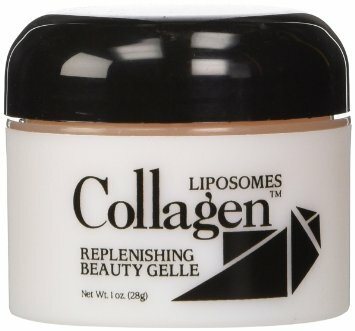 The Collagen Beauty Gelle, it contains liposomes that are time released and the microspheres saturated with moisture, to help bring the smooth full feeling to your skin. There are actual collagen fibers in the microsphere that will replace collagen that you lose every day. Liposomes are crucial in carrying and introducing the active ingredients directly into your skins membranes to work completely. Now my favorite product is the Collagen Herbal Mist. It is a great and refreshing cool mist that leaves a layer of moisturizing collagen, essential vitamins, balancing herbs, free radical scavengers, and soothing aloe vera on skin and hair to keep them hydrate and revitalized. Oil free, lanolin free, no artificial fragrance. This is an amazing feeling spray, it feels light and breezy and cool and is great to use over make up. I used it in the summer to battle the heat fade with my make up but, I think I love it even more in the dry indoor winter air. NeoCell makes awesome products for beauty, that work both inside and out. You can check out all of these products here and connect with them on their Facebook, Twitter, Instagram and Pinterest. Neocell Giveaway - Here We Go Again...Ready?